Parrots are sensitive creatures whose intelligence is often grossly underrated and, as a result, frequently exhibit behavior that is misunderstood by their owners. 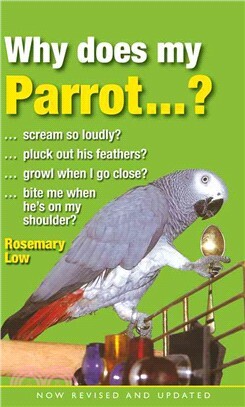 This reference guide to owning a parrot answers questions about problems and tensions between these feathered creatures and their owners. The basic elements of parrot psychology are explained, as are environmental factors that can cause biting, screaming, and feather plucking. Case studies of specific relationships are used to illustrate both good and bad examples of the pet/owner relationship. Rosemary Low is the author of The Parrot Companion and has been the curator of two of the world’s largest parrot collections. She was the editor ofPsittaScene for 15 years.